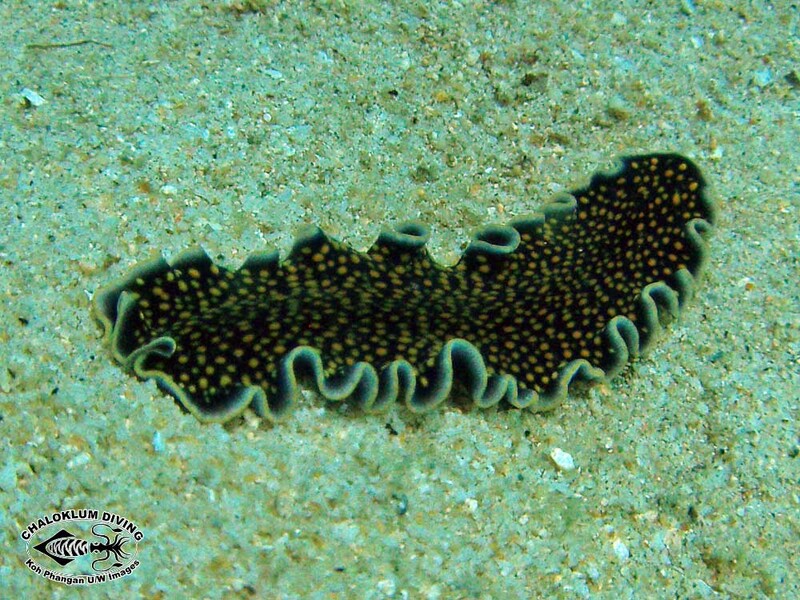 Thysanozoon nigropapillosus is a pretty flatworm – a deep black colour with white edging and bright yellow dorsal papillae. 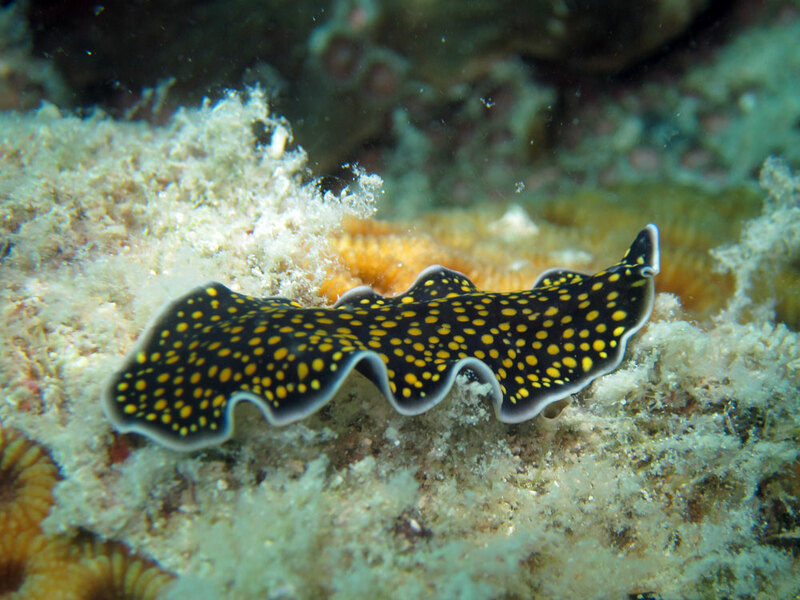 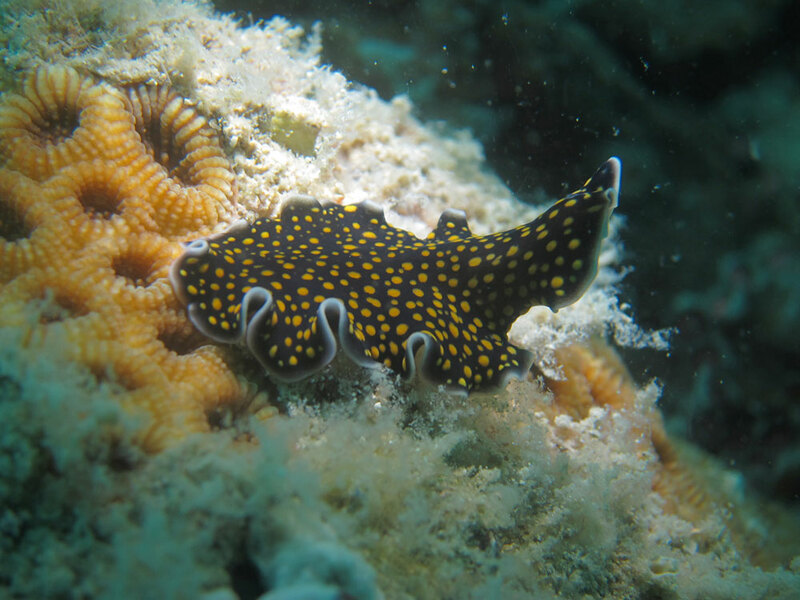 Commonly known as the gold speckled Flatworm. 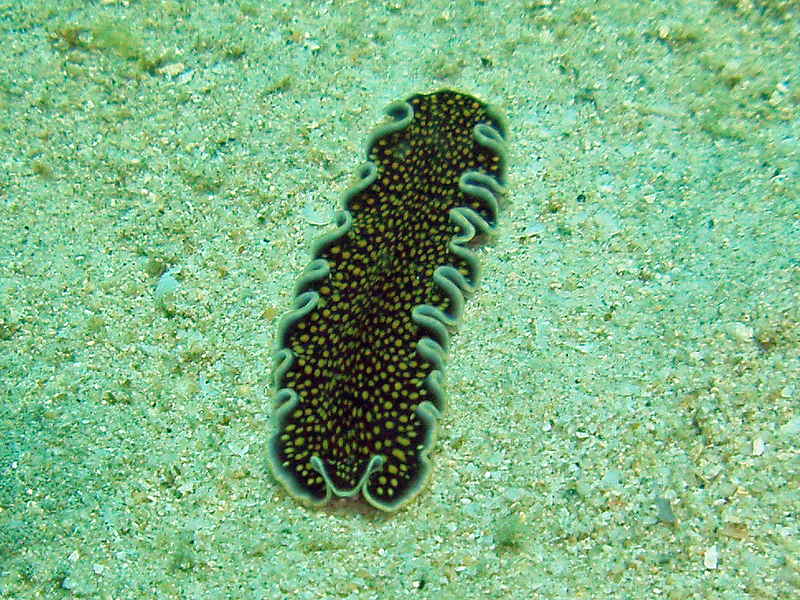 Underwater photographs only from SCUBA dives at Mae Haad Reef, Koh Phangan.